Who hasn't felt the power of love? I don't think there is a person in this world who hasn't. But in this case is about loving yourself because it is too easy to give it to others, but not to ourselves... When it becomes to be kind and gentle to ourselves, then we struggle. Do you know how beautiful this emotion is? Allow it to flow into your Being as fresh nice shower or look yourself in the mirror and feel the most wonderful love for the image you see reflected back to you, feel it coming from deep inside your heart. It will change everything in your life, you will dance with joy, you will see it is so easy to forgive yourself for all the mistakes you have made, as well as you forgive others, better relationships in your life, is the Magic you always been looking for. The way to make all your dreams become true starts with loving and accepting every bit of yourself, it does not matter what happens, you will always be strong and at peace, there is no emotion more powerful than love. I close my eyes and see the nothingness of love, no hurts, no pain, no suffering, no past, no future, no people, only this huge, big, powerful sweet energy surrounding me, filling my Being to the point where I am everything and nothing at the same time. If you want to create more happiness, money, health or whatever you want in your life, we all should start by creating the magic of loving yourself... I have started creating my own personal "loving myself" boot camp...!! Yes, I have... 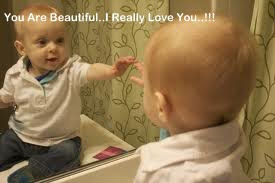 This is by looking in the mirror every morning, afternoon, evening, before bedtime, in the car, at the supermarket and say the woman there that I love her no matter what wrongs she has done I love her above all. What can you lose? Better yet, think of all you can win by making this change, it is your own personal choice... Live a magical life or stay in the shadows of your Ego.